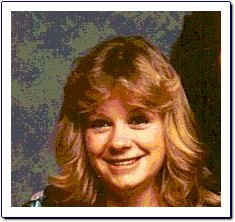 On Wednesday May 29, 1985 at 05:44 a.m., 22 year old, Jennifer Lynn Shirm was found dead laying in the street. Jennifer's body had been dumped at 187 Monte Largo N.E., Albuquerque, NM. It is believed that her body had been there for 10 to 12 hours. She had been brutally beaten to death. Jennifer Shirm had blonde hair and blue eyes. If you or anyone you know has information about this young lady's murder we urge you to help. You may contact Detective M. Wilson of the Cold Case Unit at 505-924-6095, call Crimestoppers at 505-843-7867, or email us. Any information about this murder, as insignificant as it seems, may be important!